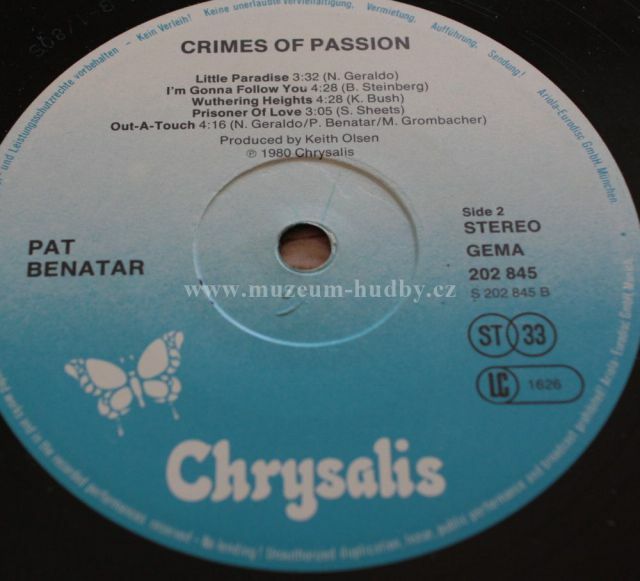 Crimes of Passion is the second album by Pat Benatar, released in 1980. Hell Is for Children, which was not released as an A-side single, was also a hit on album-rock stations. A live version of this song from her Live from Earth album was released as the B-side of her "Love Is a Battlefield" single three years later. This album featured Myron Grombacher on drums, replacing Glen Alexander Hamilton.